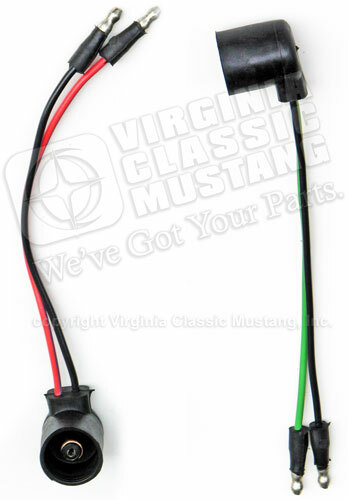 1965 and 1966 Mustang Tail Light Wire Extension Plugs. LH side is correct Green wire with Orange stripe. RH side is correct Orange wire with Blue stripe. These can also be purchased separately.